Baker Hughes reported that working rigs in the U.S. are down 61 (!!!!) this week to 1,750. 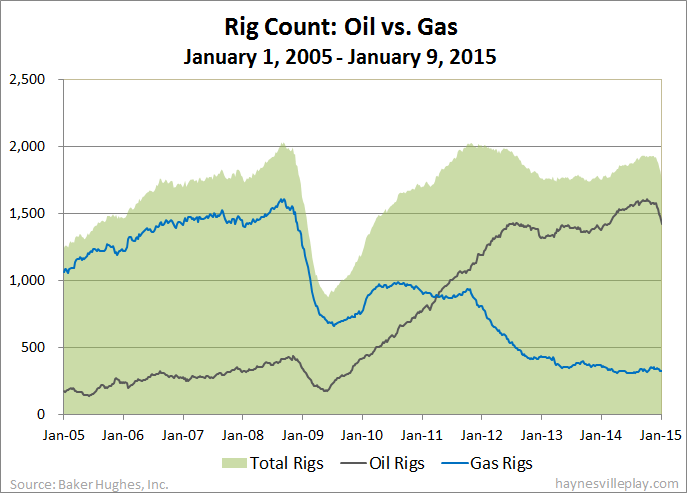 Oil rigs were down 61 to 1,421, gas rigs were up one to 329 and miscellaneous rigs were down one to zero. By type, horizontal rigs were down 35 to 1,301, vertical rigs were down 12 to 288 and directional rigs were down 14 to 161. Among gas rigs, horizontal rigs were unchanged at 246, directional rigs were down three to 51 and vertical rigs were up four to 32.